maximum per box in Bishkek! 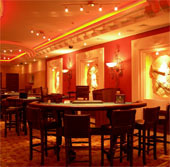 The Zodiak Group has established five casinos in Kazakhstan. 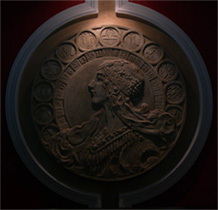 The first casino was introduced in 2002 in the country's commercial capital city, Almaty. 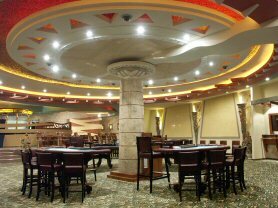 In September 2003 the casino in Aktobe was introduced, followed by the Astana casino, in September 2004. Zodiak Pavlodar opened to much fanfare in June of 2005. The newest member of the Zodiak family, Zodiak Ust-Kamenogorsk, has been servicing since June 2006.
a world of opulence and elegance. 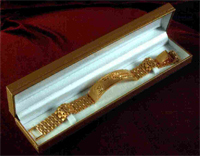 We present our Exclusive Hall players who win over $250 000 a precious golden ring, over $100 000 a golden bracelet, and over $50 000 a golden keychain. 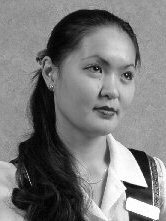 a Kazakh - American partnership, is an innovative, rapidly growing, diversified domestic gaming company with numerous locations in Kazakhstan offering guests the enjoyment of gaming in a stylish ambience. Where personal attention and individual service are the order of the day, our luxurious gaming 'oasis' ALMATY ZODIAK offers highest betting limits all over Central Asia with the most serious players in mind.